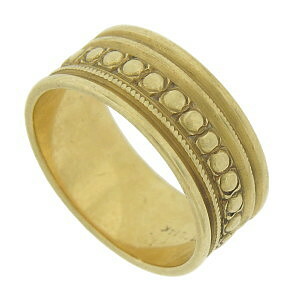 Layers of bold milgrain decoration and raised rib designs cover the surface of this 14K yellow gold wedding band. 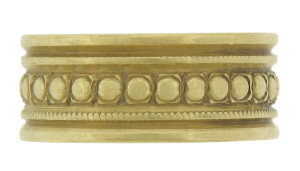 The estate wedding ring measures 7.93 mm in width. Size 7. We cannot re-size.